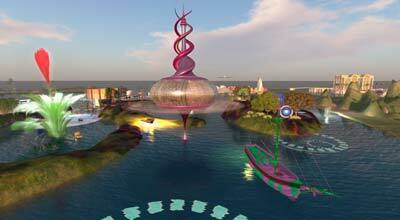 I’ve long felt that virtual worlds are an ideal technology for senior citizens. Virtual worlds allow seniors who are no longer as mobile or as agile as they once were to lead active lives as members of a community even if they find it difficult to leave their home in the physical world. Yet until now, virtual worlds have been regarded as more for the young even though in my observation in Second Life, OpenSim worlds, and There.com, older people account for a surprising percentage of active participants. Despite this, virtual worlds have pretty much ignored them. That’s why I am so excited about the SeniorCan Care corporation asking me to build an OpenSim grid that’s explicitly for senior citizens, with the intent of creating a virtual world where seniors can lead active lives as contributing members of a community. Working in conjunction with a medical device maker, it will initially be marketed to Chinese living in Canada and later in the United States. My hope is that it will be successful enough to expand to the general population of seniors. Selling from your existing inventory. Selling your goods to members of the new grid. We recognize that this is a side business for most creators and that you lead a busy life, so we will set up a store for you if you don’t have time to do it yourself. 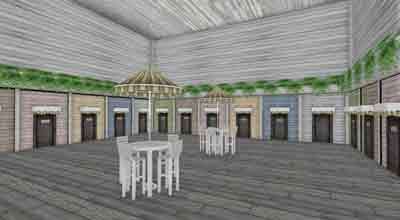 For content creators and builders, SeniorCan Care presents an unusual opportunity to sell content to an OpenSim world that’s relatively well funded, has a positive social purpose, and is committed to protecting intellectual property rights. The company behind the new grid is committed to its success and will be publicizing it. this could be an opportunity for your work to be seen by a wider audience. If you’re a Second Life or OpenSim content creator and any of this interests you, please get in contact with me by using the contact form on my personal website, erikbainbridge.com/formmailer. A word about my own background: I’ve had my own OpenSim grid since 2011 (formerly Diva, now standard OpenSim), I’ve been in Second Life since 2004 and I’ve been writing about it for examiner.com since 2009, I was a beta tester of There.com in 2003-4, and my Master’s thesis in 1995 dealt with future virtual worlds. 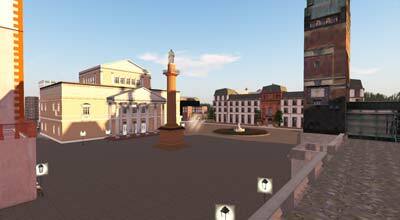 Do you know any interesting opensim regions? A recent post by Han Held on Google Plus reminded me of the fact that folks in SL often don’t know what OpenSim is all about, and that it can be hard to explain openSim’s attraction to people who’ve never spent time in OpenSim worlds or maybe just made a cursory visit. In Second Life, give a notecard to Apollo Manga. Don’t IM me. My IM’s frequently get capped. A lot of people in SL seem to think that being involved in OpenSim means leaving Second Life It doesn’t. 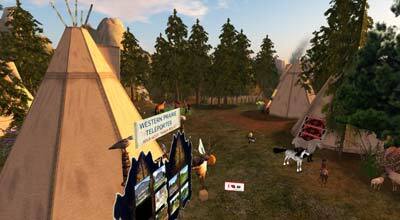 I have my own HyperGrid-enabled OpenSim grid, but I also own land in Second Life. I love both, as do many others who have ventured out from Second Life to OpenSim worlds. If you have ideas about good places for me to write about and photograph, please tell me about them so I can share them with others. Posted on December 17, 2013 Author Erik Gordon Bainbridge (Apollo Manga)Categories OpenSimLeave a comment on Do you know any interesting opensim regions? Praesent euismod. Donec nulla augue, venenatis scelerisque, dapibus a, consequat at, leo. Pellentesque libero lectus, tristique ac, consectetuer sit amet, imperdiet ut, justo. Sed aliquam odio vitae tortor. Proin hendrerit tempus arcu. In hac habitasse platea dictumst. Suspendisse potenti. Vivamus vitae massa adipiscing est lacinia sodales. Donec metus massa, mollis vel, tempus placerat, vestibulum condimentum, ligula. Nunc lacus metus, posuere eget, lacinia eu, varius quis, libero. Quisque ornare placerat risus. Ut molestie magna at mi. Integer aliquet mauris et nibh. Ut mattis ligula posuere velit. Nunc sagittis. Curabitur varius fringilla nisl. Duis pretium mi euismod erat. Maecenas id augue. Nam vulputate. Duis a quam non neque lobortis malesuada. Ut tincidunt volutpat urna. Mauris eleifend nulla eget mauris. Sed cursus quam id felis. Curabitur posuere quam vel nibh. Cras dapibus dapibus nisl. Vestibulum quis dolor a felis congue vehicula. Maecenas pede purus, tristique ac, tempus eget, egestas quis, mauris. Curabitur non eros. Nullam hendrerit bibendum justo. Fusce iaculis, est quis lacinia pretium, pede metus molestie lacus, at gravida wisi ante at libero. Diva Canto has just released Wifi 7.4. This means that those of us who have been waiting since OpenSim 7.4’s release last week can now upgrade. Diva’s Wifi provides a convenient user interface for managing OpenSim logins. To download Wifi 7.4, go to https://github.com/diva/d2/downloads and download wifi-0-7-4.zip. You can download OpenSim 7.4 at http://opensimulator.org/wiki/Download. If you want to experiment with your own grid but don’t want to contend with the much greater technical challenge of full OpenSim, the Diva distro is a very nice preconfigured package that handles many of the technical details for you in setting up your own standalone OpenSim 7.4 world. I’ve used it and it worked very well for me. Diva Wifi is included as part of that package. Go to https://github.com/diva/d2/downloads and download diva-r20232.zip. It includes the Wifi package.